Croatia to pay 30 million dollars for lost arbitration with MOL? Unfavourable arbitration ruling means that Croatia will have to cover most of the costs. More than 30 million dollars (about 215 million kuna) are the total costs of the arbitration proceedings between Croatia and MOL at the arbitral tribunal of the United Nations Commission on International Trade Law in Geneva (UNCITRAL), reports Večernji List on January 7, 2017. According to the UNCITRAL rules and the decision of the arbitration panel, Croatia, as the party which has lost the proceedings on management rights in Croatian oil company INA, will have to bear most of the costs. According to unofficial information, just for the arbitration itself Croatia will have to pay more than 20 million dollars (about 144 million kuna). The decision of the arbitration panel, which included Neil Kaplan from Hong Kong, Jan Paulsson from the USA and Jakša Barbić from Croatia, on almost 200 pages explains the reasons for the rejection of Croatian allegations about bribes which former Prime Minister Ivo Sanader allegedly received from the head of MOL Zsolt Hernadi in exchange for the management rights in INA. The decision has not been published, since the process was secret. Both sides in the proceedings, Croatia and MOL, have already paid for the work of the arbitrators and the tribunal about million and a half dollars. However, this amount is just one segment of the total costs. 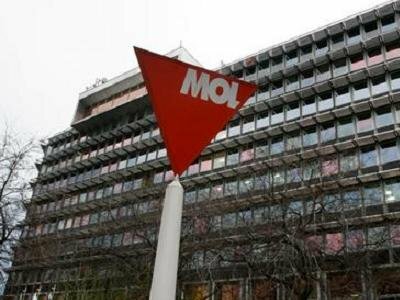 Croatia and MOL have presented all their costs to the tribunal which has determined that, in addition to the operating costs of the court, Croatia will also have to pay the vast majority of the costs of MOL. Of course, Croatia will have to pay costs of its representation by the American law firm Squire Patton Boggs, but also a large part of the costs of the firm Dechert, which was hired by MOL. The same law firms represent Croatia and MOL in the other arbitration proceeding, the one before the International Court for Settlement of Investment Disputes in Washington, which was launched in late 2013. Record high costs of arbitration before UNCITRAL are explained by the complex work that arbitrators had. In total, there were 15 witnesses heard in Paris, London and Geneva, including former Croatian Prime Minister Ivo Sanader and MOL director Zsolt Hernadi, while the court also consulted 14 experts. During the hearing of key witnesses, about 20 lawyers were present in the courtroom and testimony lasted for several days. The court did not set a deadline by which Croatia must pay its share of the costs, but noted that the costs should be paid as soon as possible. In addition to these, Croatia will also have to pay additional costs, for example for an analysis of operations of INA, carried out by A. T. Kearney and OGC, which reportedly costs around ten million kuna. By comparison, for arbitration in the case of border dispute with Slovenia, Croatia paid about 4.1 million dollars.